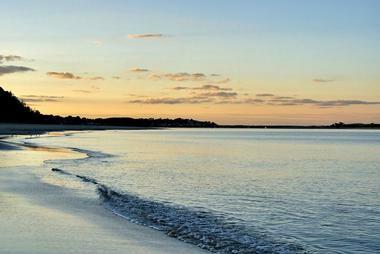 New England is well known for its beaches – and for good reason. New England is where you can see some of the most beautiful sunsets, visit a lighthouse, take a ride on a vintage carousel and ride the waves on a surfboard. 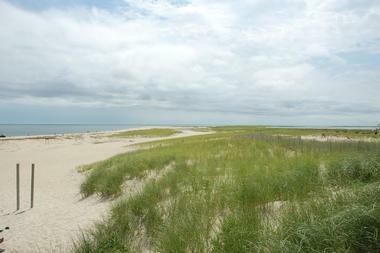 Many of these beaches have been preserved and some are rich in unique and rare fauna and flora, enriching New England even further. 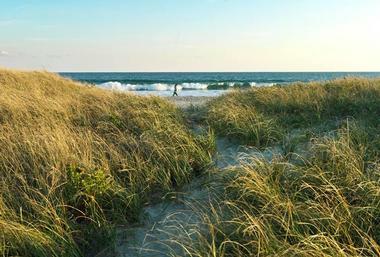 Here are the best beaches in New England. 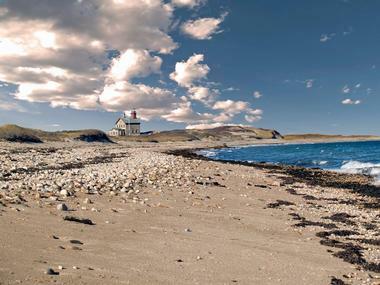 Goosewing Beach Preserve is one of Rhode Islands’ most significant landmarks. This lovely beach is a one-of-a-kind combination of sand dunes, barriers, and ponds, creating a spectacular beach that many tourists visit throughout the year. Besides its beauty, its significance lies in two critical species of bird that inhabit the beach – the endangered piping plover and the rare least tern. For the past twenty years, the Nature Conservancy has been taking care of all the species in this area with the help of donors. Field trips and sightseeing are available throughout the year. 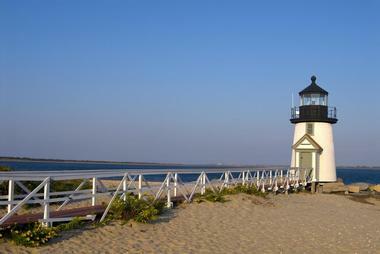 Nantucket is a small and beautiful island with a lovely lighthouse that overlooks the waterfront. There are beaches on every part of the island and each of them is different and unique. There are beaches suitable for families, and parents usually head for Children’s Beach, while college students often work Nobadeer beach. Each beach is appropriate for each individual occasion. The South Shore is known for great parties, surf, and adventurous fun, while the North Shore is family friendly because of its calm waters. Whatever you are looking for on your vacation, you’ll find it here. Kennebunk Port, Maine, has more than just a single beach – there are many miles of waterfront, containing some of the most beautiful beaches in these parts. Given this large variety, there is something for everyone to do here. You can surf, sunbathe, or just harvest shells. Kennebunk, Mother's & Gooch's Beach, BEACH AVE., off routes 9 and 35 is perfect for taking long walks and swimming, and there is a massive fireworks show on the 4th of July. 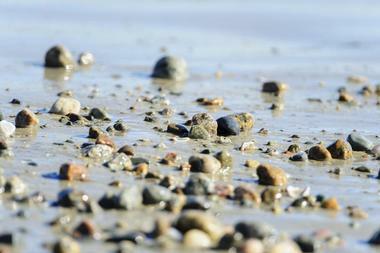 There are also six more beaches that are part of Kennebunk Beach Port, Maine, each unique and beautiful in its own way. 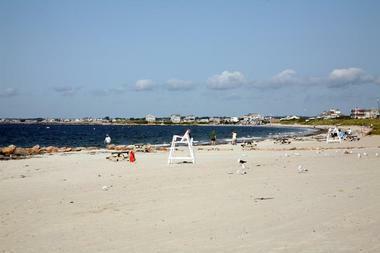 Narragansett Town Beach is one of the cleanest, most frequently visited beaches in the area. The beach usually hosts up to 10,000 visitors each day in the summer, which says a lot about its popularity. It has all the necessary amenities for a pleasant day on the beach, so you can spend an entire day here without lacking anything. There are lifeguards and first aid as well as surfing and strolling areas along the nearly 20 acres of beautiful sandy beach. Trustees Tour will take you to the Cape Pogue Wildlife Refuge via the Chappy ferry in their free tour van. There you can find a beautiful beach as well as a dozen other exciting activities and fun to-dos. You can take kayak or canoe trips, and choose from a selection of fishing tours, surf casting trips, or natural history tours. A few miles away from the Trustees Tour point, where all the activities are available, there is a beautiful lighthouse. 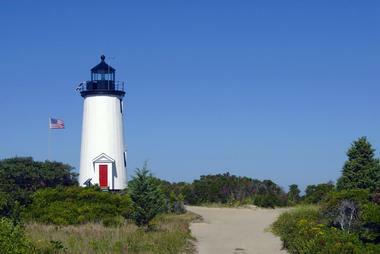 A tour of the lighthouse is available, allowing you to learn more about Cape Pogue’s attractions. 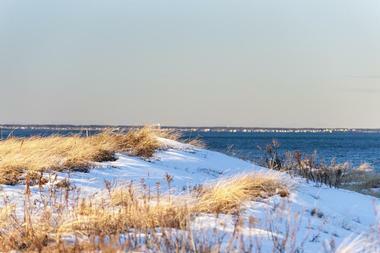 Chatham, also known as Chatham Lighthouse Beach, lies just under the watchful eye of the Chatham Lighthouse, which actively guides sea traffic in these parts. Although the lighthouse is generally closed to visitors, it can be visited once a year during the summer and is free of charge. 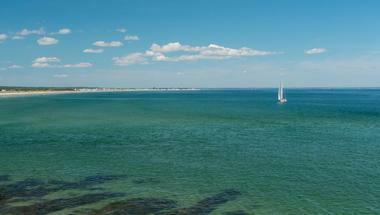 At 290 Argilla Road, Ipswich, MA, 01938, lies Crane’s Beach, which was thrice voted Boston’s best beach. The water around the coastline is warm and pleasant for swimming, and its four miles of soft, white sand beach is exactly what makes this beach one of the New England’s favorites. 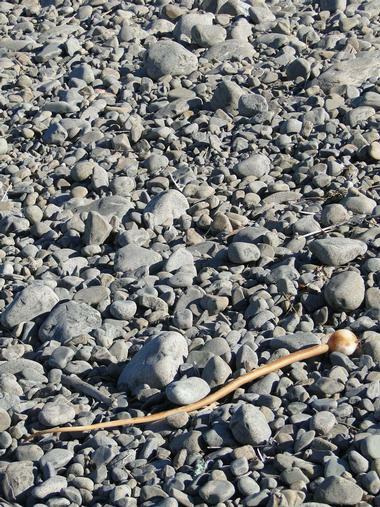 The beach is also an important sanctuary for the wildlife of this area. It is open throughout the year and, regardless of the weather, you will surely find something fun to do. There are a number of perks like bathhouses and concession sites, and lifeguards provide safety. 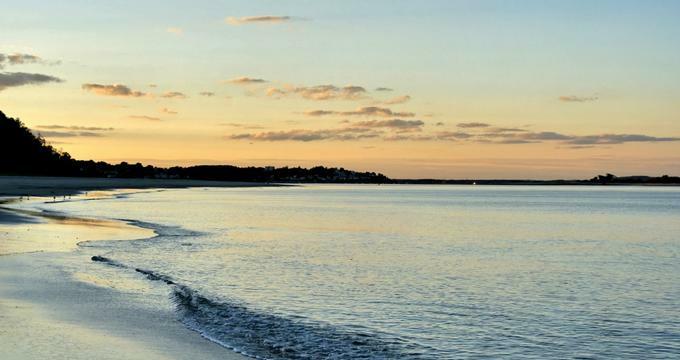 Located at Grand and Central Park Avenue in Falmouth, Massachusetts, the Falmouth Heights Beach is one of the prettiest and most comfortable beaches in these parts. There is beautiful, soft sand spread on a long and spacious beach with plenty of great spots for playing sand volleyball or catching some sun. Neither camping space nor picnic tables are available at this beach, but there is food on almost every corner so you can grab a bite after a couple of rounds of swimming. You can also stay at one of the many bread-and-breakfasts in the area. 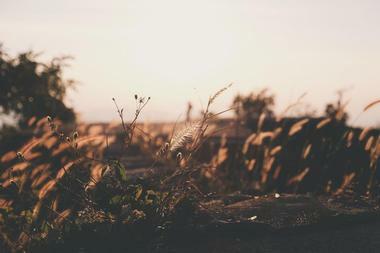 At Gloucester Route 127, Thatcher Road, lies a pearl of the Atlantic shore – Good Harbor. 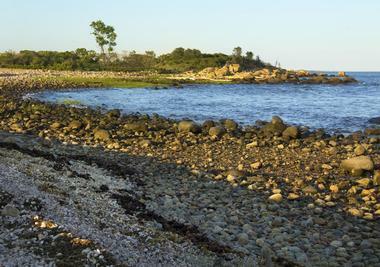 It is one of the most famous beaches on Cape Ann. 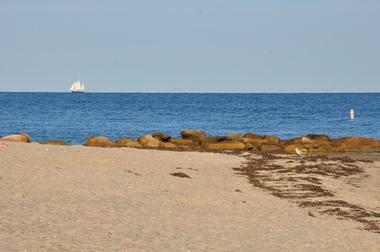 No wonder, for Good Harbor Beach has the most wonderful sand as well as calm and warm water that welcomes all swimmers. Low tide unveils a beautiful passage leading towards Salt Island and you can walk over and visit the island. 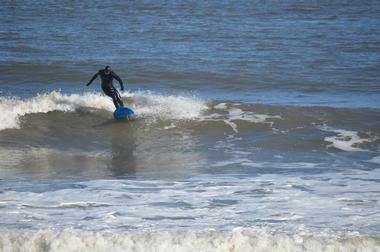 When the tides are high, you can enjoy water activities such as bodysurfing or having fun with boogie boards. Rhode Island is a captivating combination of 17 miles of fantastic sandy beaches, curvy bluffs, and roads running across the island. While some of its beaches have all the amenities to welcome visitors from all over the world on their summer holiday, there are many parts of the island where the beaches are untouched and preserved in their blooming nature, providing some outstanding scenery. Block Island, also known as Bermuda of the North, is ideal for exploration as you can take a moped or a bicycle and take off on your own personal adventure. With over two miles of beautiful sandy beach along the coastline of Madison, Hammonasset Beach welcomes visitors throughout the year. A number of activities are available here in addition to the usual swimming and trailing the shores, and you can go fishing, car-top boating, bicycling, camping, and picnicking. Showers, shelters, and concessions are available for all visitors, so you can enjoy all the necessary amenities while you enjoy your stay. For those hungry to learn more about Hammonasset Beach and its ecology, flora, fauna, and history, there are nature programs and exhibits on offer. What’s more, over 500 grassy camping spots await you! 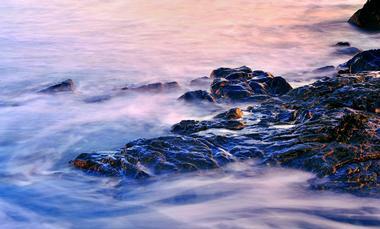 Hampton Beach, located in New Hampshire, is one of the top three cleanest beaches in the entire United States. To make the locals even prouder, the Hampton Beach Boardwalk is now listed in top 10 of America, ranked there for its beauty. Both visitors and locals enjoy the boardwalk every day as there are lots of restaurants, cafes, and local shops. All shops and restaurants are beautifully decorated and tastefully constructed to match the atmosphere of summer and the coastline lifestyle. This beach is also proud of its numerous events organized by the locals, including the sand sculpture, fireworks, and talent shows. Joseph Sylvia State Beach is one of the most famous beaches around New England, particularly for families. This is because it has naturally generated marine sediment that forms slopes, so even though there are deep water areas, there are also lots of patches with shallow water suitable for younglings. 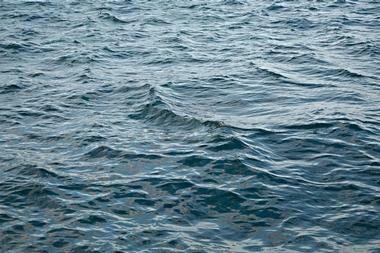 The waves are small and calm, so swimming is very pleasant in these waters. The beach sand is beautiful and there are lots of parking spaces. You can also have a go at harvesting shellfish, but you will need a town permit for that. There is also plenty of space for strolling along the shoreline. Long Sands Beach, lying under the watchful eyes of professional lifeguards and a local lighthouse named the Nubble Lighthouse, is one of many beautiful beaches in New England and is frequently visited throughout the year. This beach has nice soft sand and is family friendly. The waters are calm and suitable for swimming and other aquatic activities, and the beach is open all day every day. There is food at every corner, so you can spend the whole day on the beach without moving more than a couple of feet from your umbrella. There are also umbrella rentals available at the beach. Although Breakwater Beach is one of the most famous beaches in town, it is never too crowded, so you can be sure to catch some sun and swim without people bustling about you. There’s also a large parking lot as well as with numerous pools scattered about the beach when the tide is low. The shore is long and spacious, even when the tides are high, and is flanked by soft, white sand dunes. The water is warm, ranging from 60 to 70 °F during the summer, and when the tide is low, children can have fun looking for shells and crabs. 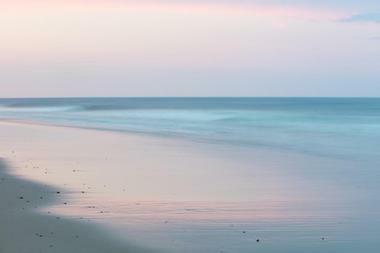 Newport’s beach, Easton, is proud to be on the top ten lists of New England’s best beaches. Here you can find everything you need for a perfectly sunny summer’s day at the beach, including sunscreen, umbrellas, boogie boards, towels, and everything else you need. You can relax, sunbathe, swim, surf, or spend a lovely day walking along the shoreline and enjoying the view of the ocean. You can also hold your wedding here and get married on the beach, celebrating your day in the renovated ballroom. You can even ride a vintage carousel from the 1950s. 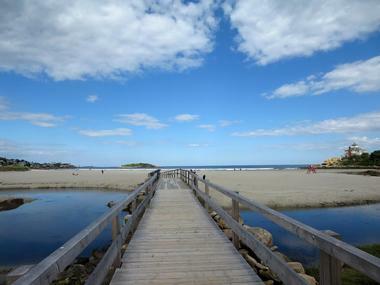 Ogunquit is one of the top 25 beaches for a summer vacation according to Trip Advisor –come by and see for yourself that this title is well justified. 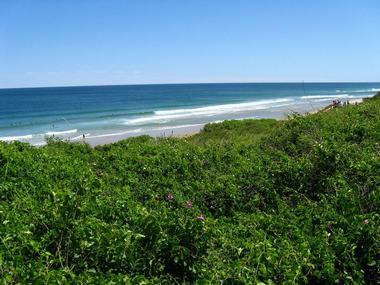 This beach is a unique combination of soft, white sand and dunes covered with grass, forming a natural demarcation between the Atlantic Ocean and the Ogunquit River. Besides taking advantage of all the amenities, such as chair and umbrella rentals, restrooms, picnic tables, and showers, you can spend your day surfing, swimming, and sunbathing. You can also rent a boat and enjoy the waves in the middle of the ocean. Old Orchard Beach is proud of its long, 170-year history of welcoming tourists and visitors. 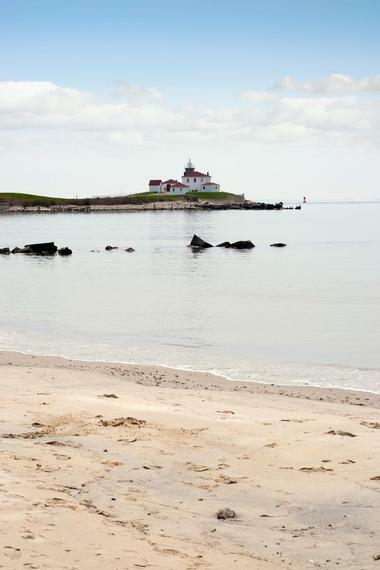 This beach stretches seven miles along the coastline and is crowned by the Old Orchard Pier. The Old Pier is the center of all activities at the beach, so you can find everything you need there, including surfboard rental, umbrellas, and chairs, as well as get some great food to patch you up after a busy day and go shopping for souvenirs. You can also take bird watching and whale watching tours from here or attend concerts, observe fireworks, go dancing, and enjoy the busy nightlife. At 250 Beach Road Orleans, Massachusetts, lies Nauset Beach. Although it is surrounded by a massive parking space, things tend to steam up in the afternoon, so get here early if you want to get a great spot and enjoy everything this lovely beach has to offer. You can go fishing for bass, swim in the pleasantly cool waters of the ocean, or surf when the tide is up: the waves are high and more than suitable for surfing, making this beach every surfer’s dream. The sand is beautiful and soft, and the beach is suitable for all ages. Plum Island Beach is one of the more frequently visited beaches in Massachusetts, but it is never too crowded so you can sit back and relax during your summer vacation. The beach is open during the entire year and besides the regular aquatic activities like swimming or boating, you can also go crabbing here as the waters are rich in crabs. Later on, you can go for a walk and visit some of the best seafood restaurants in the area for a taste of fresh seafood. 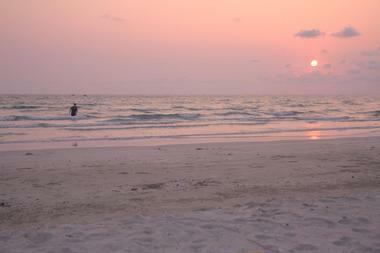 The beach is long and spacious and suitable for both kids and elders. At Race Point Road, Provincetown, MA 02657, you will find Herring Cove Beach, which has one of the most beautiful beach sunsets in New England, appearing to stretch as far as the eye can see. Lifeguards do not protect all parts, so you do need to be careful and swim where there are lifeguards available. However, this provides you with an incredible opportunity to walk around the unprotected parts and observe the beautiful coastline without dealing with busy shorelines and visitors lining up to swim and sunbathe. There are food stands on the beach, along with showers and restrooms. At 100 Sand Hill Cove Road Narragansett, Rhode Island 02882, you can find Roger Wheeler State Beach – a beach that got its name 36 years ago when Mr. Roger Wheeler came up with a plan to set up a system of lifeguards along all coastlines and beaches to prevent accidents. Over the years, trained and equipped lifeguards have saved many lives, and that is how the beach got its name. The beach has amenities like showers, an educational area promoting environmental issues, lifeguard watchtowers, and concession stands. This is another family-friendly beach in New England that will make you want to both stay for a while and come back next summer. The beach is open all day every day, so visitors are welcome any time. Some spots on the beach have shade, while for those who prefer lizard-like sunbathing, there are plenty of parts that are bathed in sun. The water is perfect for swimming with a moderately warm temperature and when the tide is high, there are lots of surfers around. In the evenings during the summer, you can attend concerts at the gazebo and there are plenty of lovely restaurants. Unlike many other beaches in New England, Watch Hill is not open for the entire season, but during the summer season there is plenty of fun to be had here. This beach is a popular destination for families as the waters are calm and pleasant for swimming. The sand is soft and beautiful so kids can enjoy making sand castles while their parents catch the sun and enjoy the warm water. The beach is located in the far southwestern point of Rhode Island, making it a great spot to find one of the most beautiful and romantic sunsets of your life. At Cahoon Hollow Road, Wellfleet, Massachusetts, lies one of the most beautiful beaches in all of Wellfleet - the Cahoon Hollow Beach. 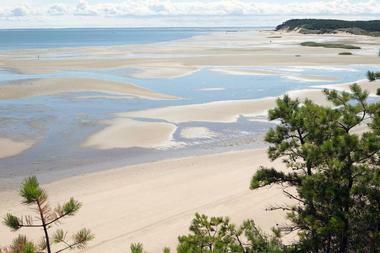 This beach is massive and offers hours of trailing along the shoreline. This part of Wellfleet is windy, so there are medium waves that are ideal for surfing. 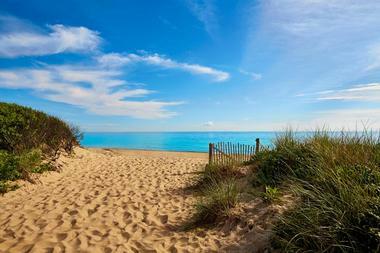 The sand is beautiful and soft although the path towards the beach is made steep by sand dunes. The beach is popular among families, but people of all ages come to Cahoon Hollow to enjoy their vacation. Amenities such as restrooms, lifeguards, and showers are available for all visitors.